Eureka Springs brings back memories of my childhood walking the streets with my parents and grandparents, eating saltwater taffy and a hotel cat. Over the weekend, I got to walk down those streets again. 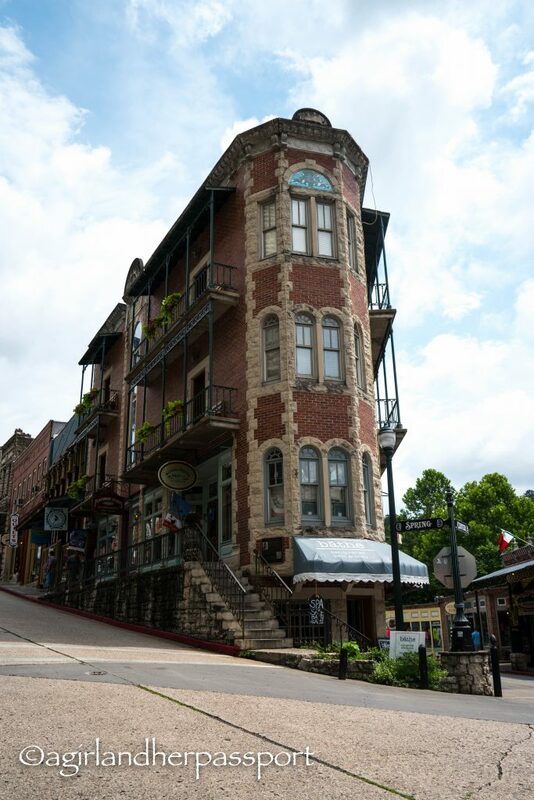 The town of Eureka Springs is nestled in the Ozark Mountains in Northwest Arkansas. It has been a tourist destination since the before the town was founded in the 1880s. This was mainly due to the natural springs found in and around the town. Spa treatments are still a popular activity now. 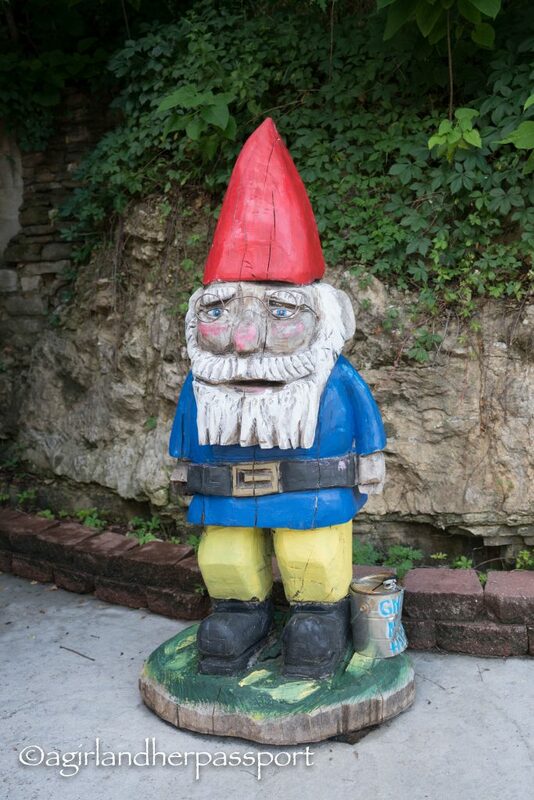 Shopping – Even I like shopping in Eureka Springs. In the past, there seemed to be more antique stores than there are now, but there are still some great stores. There are several clothing stores that sell a variety of things. On this trip, I picked up some jewelry, a linen dress, a kimono and a tank top. The prices are also a good range. If you love antiques, there are a few of those left. 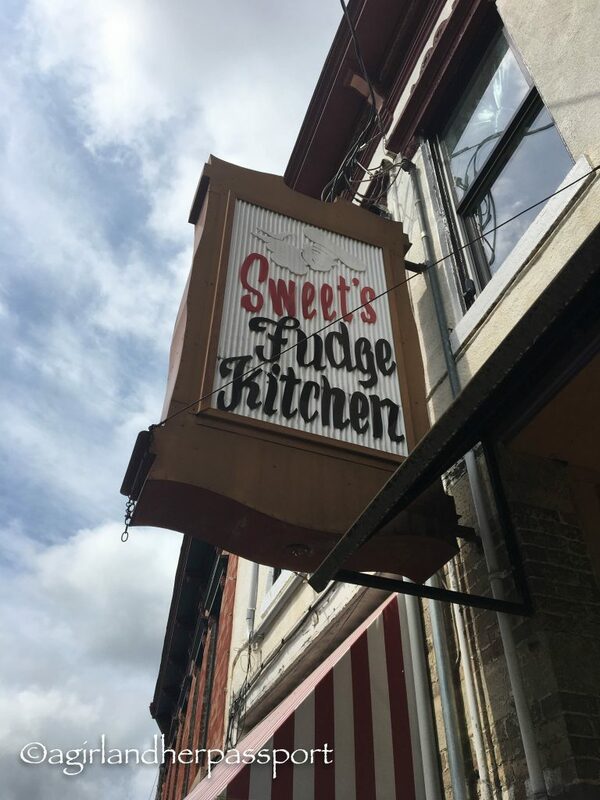 The kids will love the variety of candy stores, including one that makes saltwater taffy, Sweet Fudge’s Kitchen. Ghost Tours – The Basin Park Hotel is supposedly haunted and you can take a ghost tour in the evenings there. 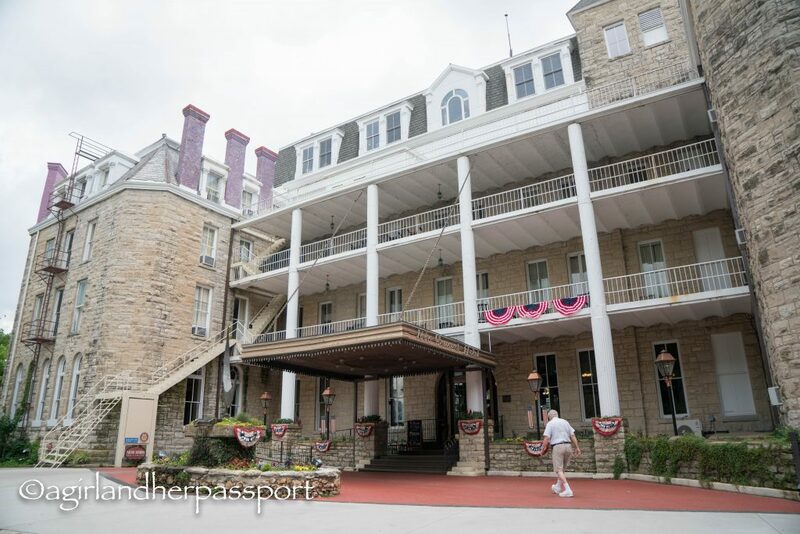 The Crescent Hotel, the large hotel on the top of the hill, also offers ghost tours. These tours are enhanced by the historic nature of the two hotels. The Crescent even has family friendly ghost tours at an earlier hour than the Basin. 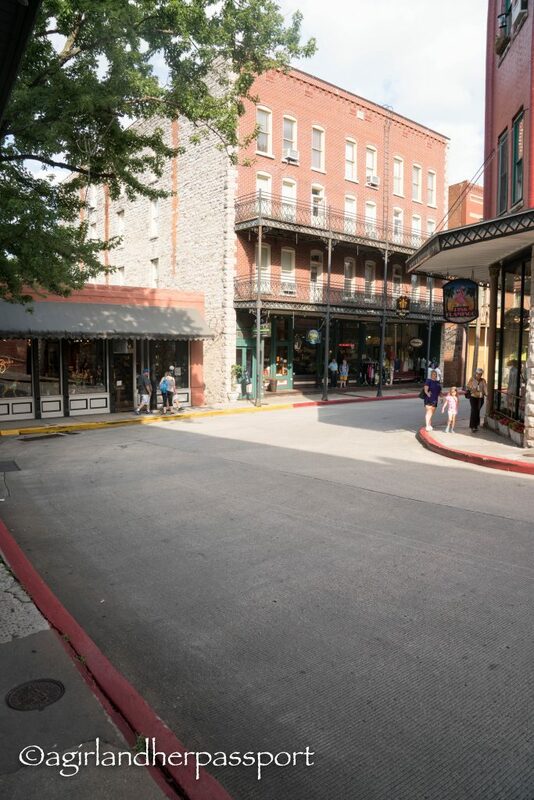 Ride the Trolley – While technically this trolley is public transportation for getting around Eureka Springs, it is a great way to see the town without having to climb the hills. Which is really great if you are staying up the hill at the Crescent! There are several routes. My youngest niece begged to go on it, so it is a great activity to take the littlest traveler on. 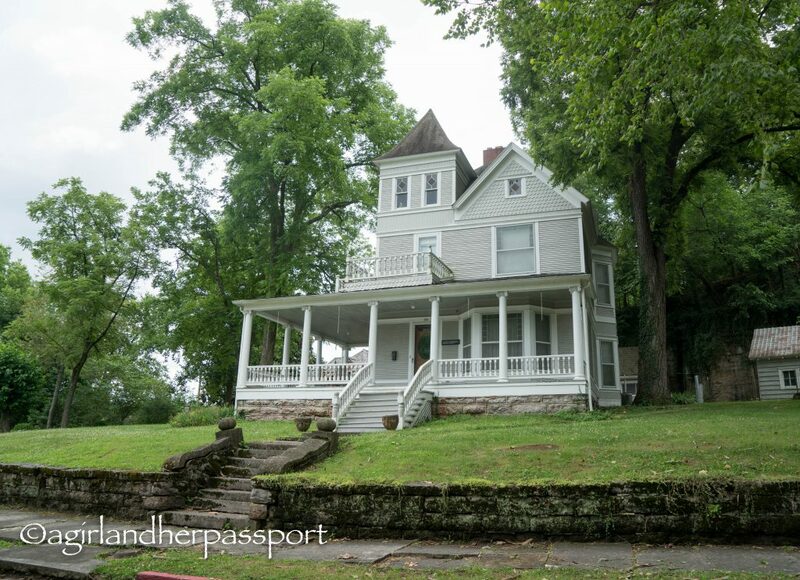 Tour the Historic Houses and Buildings – At Christmas Time in Eureka Springs, you can go on tours inside the Victorian houses. However, you can still walk around the rest of the year and admire them from the outside. Some of them have great gardens and some are perched in awkward ways above streets. The town has so many historical markers, I couldn’t read them all! You could probably spend a whole day doing just this. Get a Spa Treatment – There are several spas in town. Some are just massage places, though. My recommendations would be the spas at either the Basin Park Hotel or the Crescent Hotel. The Basin Park Hotel Spa is an Aveda salon and is located on the second floor of the hotel. Walk-ins are welcome. The Crescent Hotel spa is called the New Moon Spa and is located on the garden level. Look at Art – There is an art scene is this tiny town. There are many galleries to explore that include painting, sculpture, and metalworks. There is some public art as well. 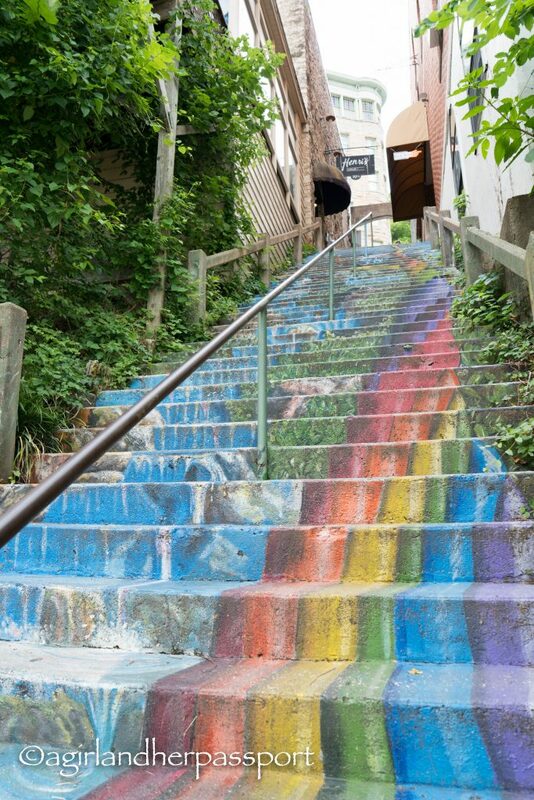 Look for the painted staircase. This trip I noticed a collection of gnomes have popped up. I was also told of a new sculpture park out near the train station and if you touch the sculptures, they make sounds! Crescent Hotel – Built in 1886, the Crescent Hotel has had a curious past and has served as a girls college, a fake cancer hospital and had a cat as Hotel Manager. They have lots of room options including suites and cottages. Many rooms have jacuzzi tubs. 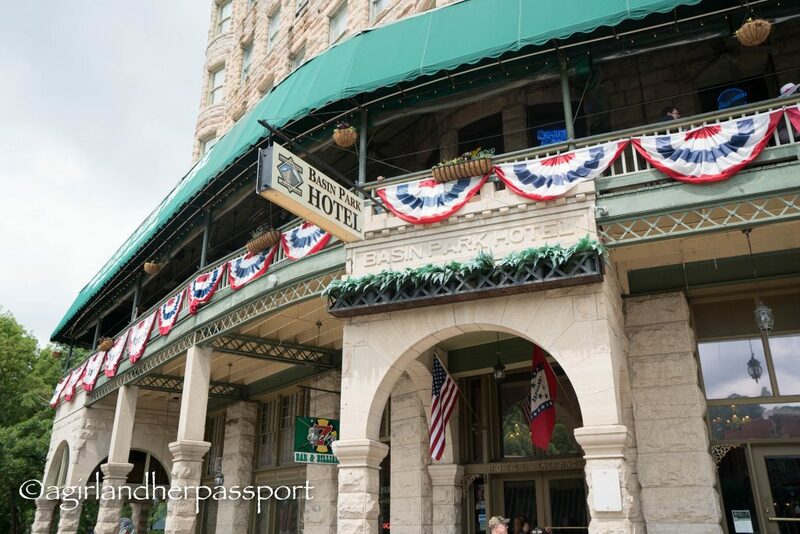 Keep in mind that it has been claimed as the most haunted hotel in America! Basin Park Hotel – This is the hotel my parents love to stay in. However, I would only stay there because it is in the center of town and has a balcony restaurant. The rooms are not updated and they have giant furniture in them, which made them feel small. The bathroom had been updated and was nice. 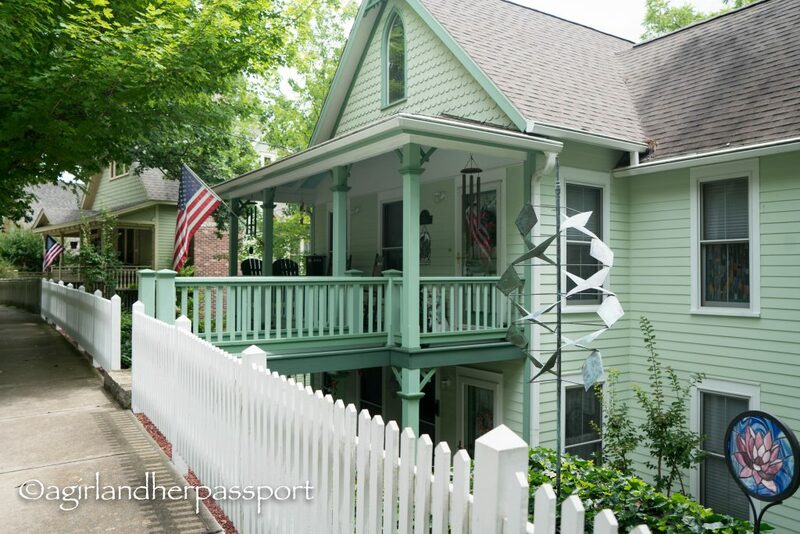 Rent a cottage or stay in a B&B – There are several Victorian cottages you can rent and several that are Bed and Breakfasts. My parents stayed in one a long time ago and they loved it. Many of these are on the trolley routes, so you don’t have to worry about driving into the center of town and paying for parking. Most people drive to Eureka Springs, Arkansas. The only thing to note about the drive is that Eureka Springs is located in the Ozark Mountains and the roads are winding. Several members of my family get carsick when we are getting close to Eureka. You can fly to the Northwest Arkansas Regional Airport on American Airlines, Delta, United and Allegiant Air and then rent a car. It is an hours drive to Eureka. 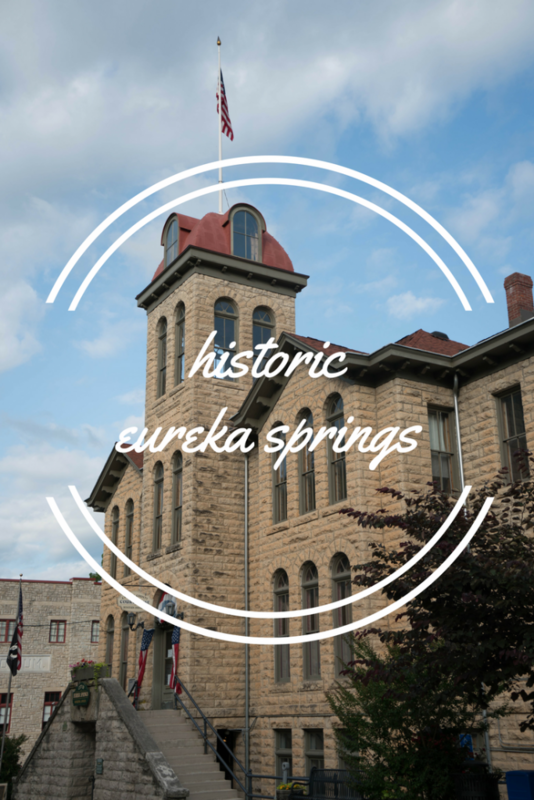 Have you been to Eureka Springs, Arkansas? Tell us your favorite thing there. La Paz, Baja California Sur, Mexico. La Paz is a destination which has tons to offer in terms of local delicacies, outdoor activities and of course, beaches! However, no matter how long you would like to spend in La Paz, you may have a limited time frame in the Mexican town of 48 hours. 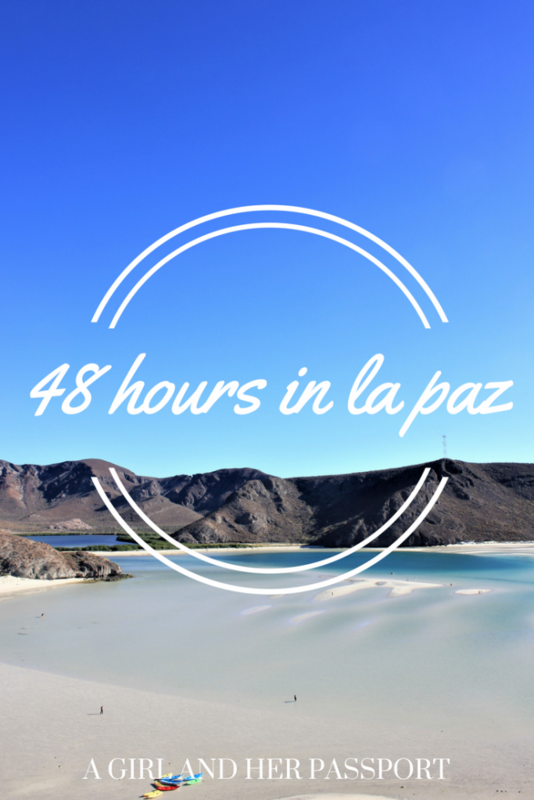 How exactly do you maximize your 2 days in La Paz to ensure you savor every last moment. 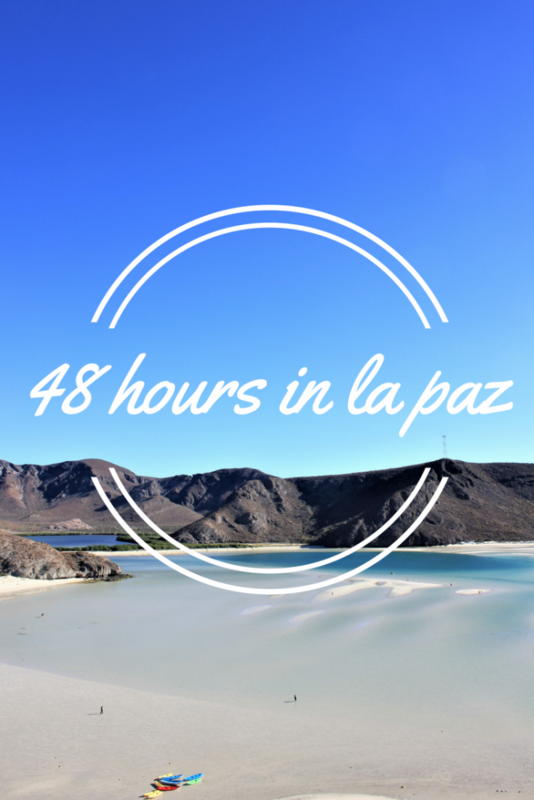 Well, luckily for you, I have devised a ’48 hours in La Paz itinerary’, so you don’t have to worry about how you will make the most of your time. Is there any other way to start the day? Of course not. You’re in Mexico after all, am I right? Why not start your first day in La Paz by tucking into a delicious Mexican breakfast. My recommendation for breakfast is ‘El Rincon Chilango.’ This quaint and traditional Mexican restaurant is located a short walk out of the center. It’s well worth the 10 minute walk from the center. The majority of restaurants in the center of La Paz are geared towards tourists. 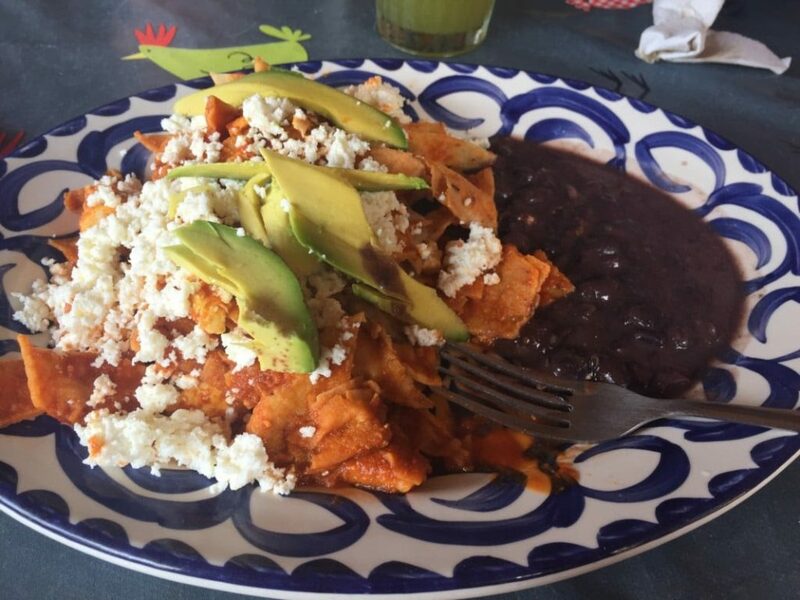 If you really want to get a taste of a true Mexican breakfast, get yourself to ‘El Rincon Chilango.’ There are many Mexican breakfast favorites on offer, and their Chilaquiles is to die for!! Mexico’s best beach? That’s certainly a bold statement. However, once you arrive at Playa Balandra, you will understand why I’ve made this statement. The beach is set in a bay surrounded by barren mountains, occupied by the odd cactus. The water at Playa Balandra is as clear as the finest bottled mineral water. The beach is flawless. The most unique thing about Playa Balandra is that you can walk from one side of the bay to another deserted beach on the other side, the water rarely gets deeper than knee height. After a long hard day of relaxing on the beach, what could be better than topping yourself up with delicious Mexican food and Margaritas?? For some traditional Mexican tacos, I would recommend heading to one of the food stands on Revolucion De 1910. The food stands on this road really know how to serve up tacos that will leave you longing for more. With fillings on offer from Chorizo to fried fish, it will be hard to narrow it down to just one. 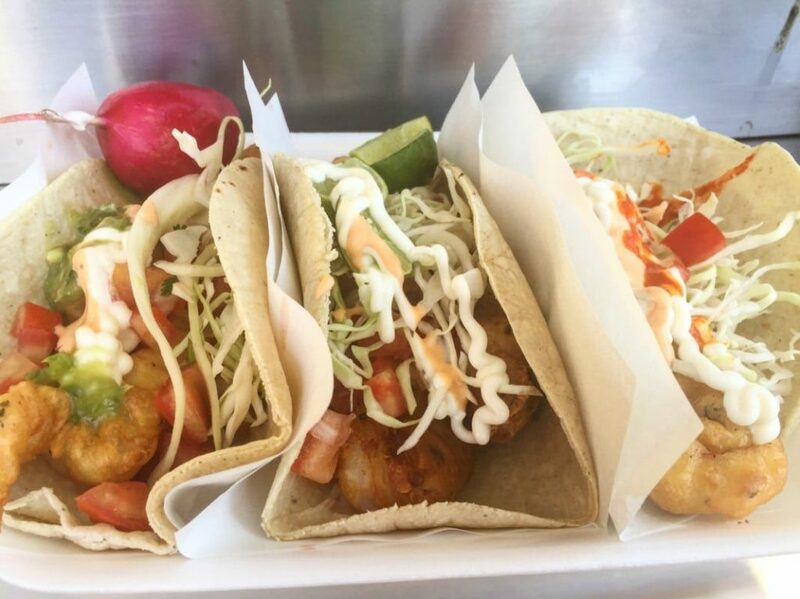 However, La Paz is famous for its fish tacos, so go for the Pescado (fish) or Camaron (shrimp) tacos. Following your fill of tacos, get yourself down to one of the bars along the Malecon and drink Margaritas to your heart’s content. La Paz is a town with its fair share of cafes, perfect for those coffee guzzlers. It seems that these coffee shops are dotted all around the center of La Paz. You won’t be wandering around for long before you come across a quiet little cafe serving up everything from your traditional Americano all the way to a new-age Cold Brew Coffee. 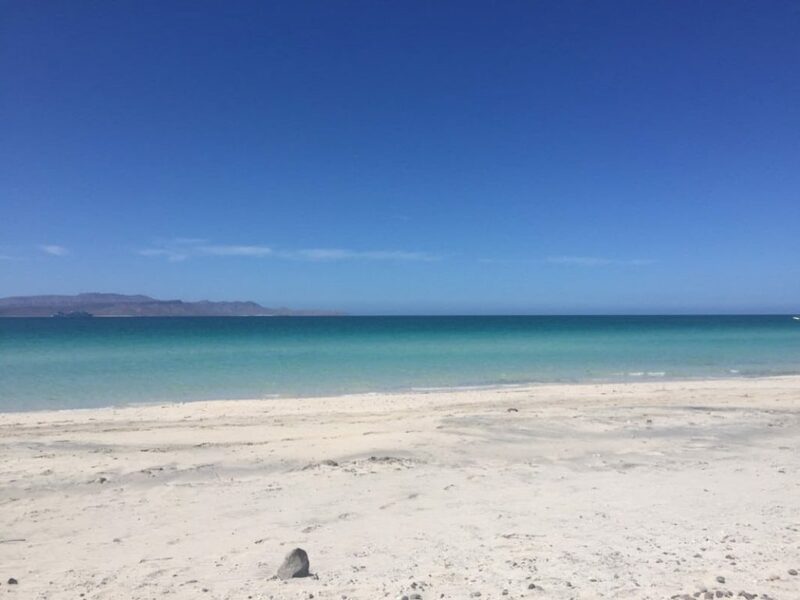 When you think of La Paz, Mexico, I’m sure the mind will conjure up images of beautiful beaches with bright blue waters and pristine sands (I’m basically describing Balandra Beach there). 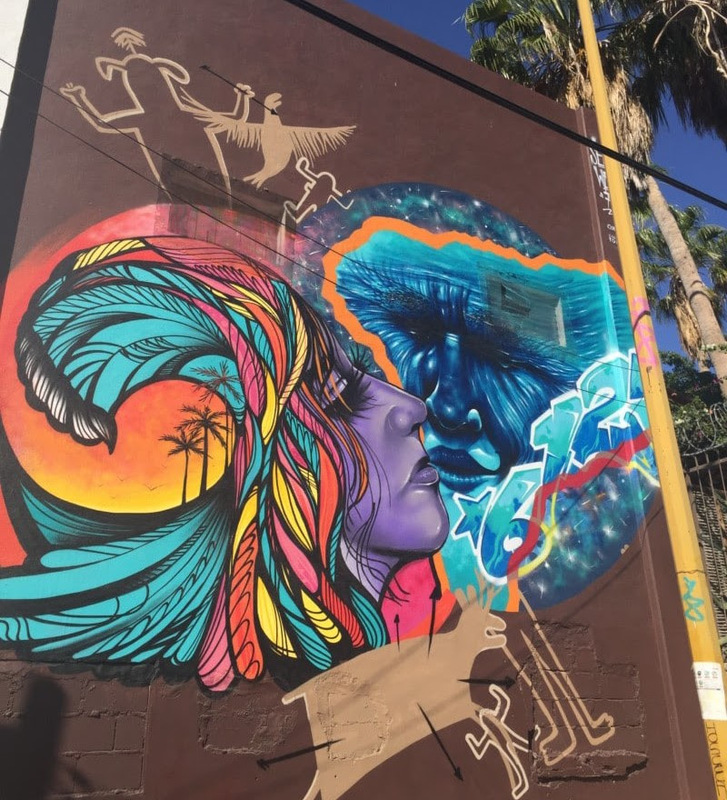 What I’m sure you wouldn’t associate with Baja California’s capital is street art. I can assure you, La Paz has a vibrant street art scene. 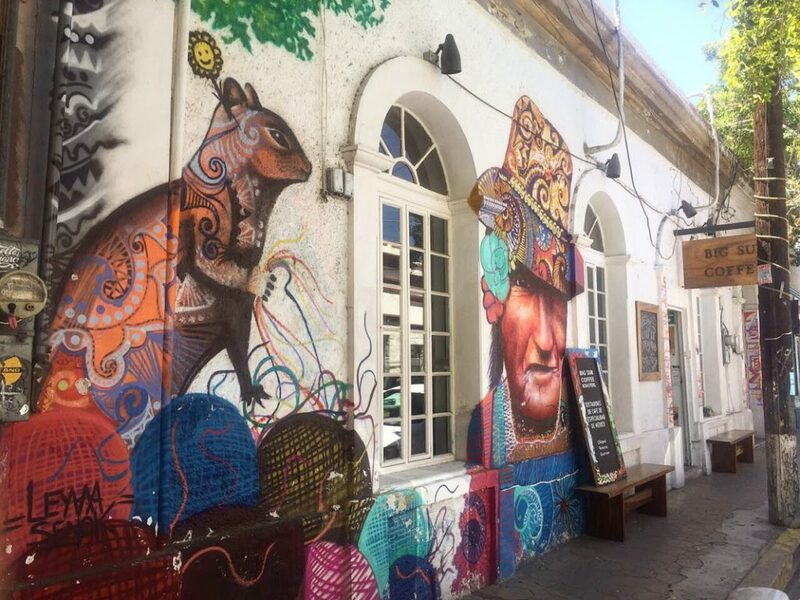 Spend your freshly gained energy from your morning coffee wandering around La Paz, checking out all the street art dotted around. I couldn’t quite believe it, but creative bits of artwork popped up every time I walked around La Paz. There are some talented artists who have made their mark in this town. That’s right, another day, another beach. 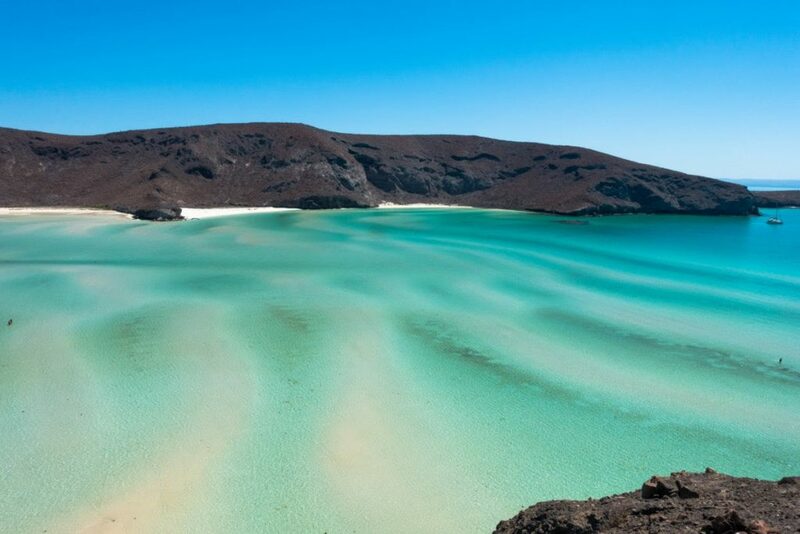 La Paz is famous for its beaches and there’s a reason why. 5 minutes down the road from Playa Balandra, you will find Playa Tecolote. Playa Tecolote has a livelier vibe and more of a people presence than Playa Balandra, but it works. Whereas Playa Balandra has literally one stand selling a few drinks and crisps, Tecolote does have the usual beach restaurants and bars lining the sand. Tecolote is more ‘built up’, but I do use that phrase lightly. It’s hardly built up Cancun style and the beach still holds much of its charm which beautiful beaches often lose as they begin to build in popularity. You’ve had an action packed 48 hours. Well, I suppose you can count laying around on beaches, eating Mexican food, drinking great coffee and sipping margaritas action packed, can’t you? Spend your last few hours in this wonderful town relaxing and reflecting on your 48 hours of experiencing the best of La Paz. This is a guest post from Nathan over at The TRVL Blog. Check out his beautiful posts on South America. You can find him on Facebook, Twitter and Instagram. Thanks, Nathan!